The North Georgia Pools Process & What To Expect! 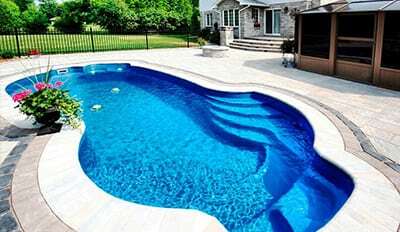 We specialize in everything pools, but we are really known for the following services. Our Vinyl Swimming Pool installations are built to last, with high-quality steel walls and the industry’s most durable vinyl pool liners. Nothing goes in as fast as a fiberglass pool. 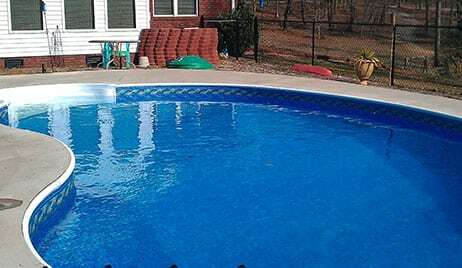 In good weather, a fiberglass pool can be installed in as little as a week. No need to wait all summer! With unmatched beauty, our concrete pools are designed and built to bring years of enjoyment and can be accented with many water features. North Georgia Pools is family owned and operated in the North Georgia Mountains. We take pride in offering our customers reliable, timely, and excellent services. We offer complete pool and spa services including building, reconstruction, servicing, and maintaining. We build complete backyard solutions, click below to view everything from fiberglass and vinyl liner pools to complete backyard solutions. Over the years we have built a reputation for designing and building beautiful backyard retreats, and here are what a few customers had to say about our work. My pool was in a terrible shape! I couldn't find anyone to replace the tiles and hard surfaces. Actually thought we were going to have to fill it in! One call to North Georgia Pools and they were on board to get us back into swimming heaven!